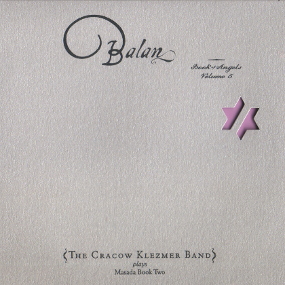 Formed in 1997, The Cracow Klezmer Band is a phenomena. Through their spectacular combination of impeccable musicianship, imaginative arrangements and passionate performances they have been universally acclaimed by audiences and critics alike, developing into one of the most successful and exciting acoustic groups in the world. Here they are joined by the lush sound of strings, as Bester turns his prodigious arranging skills to eight new songs from Zorn’s fabulous and varied Book of Angels. Also featuring the Cracow String Quartet this is their best CD to date.